Irvine Welsh rarely strays too far from his Trainspotting cast. 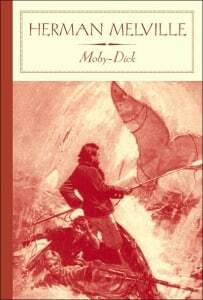 In fact, his new novel revels in it. 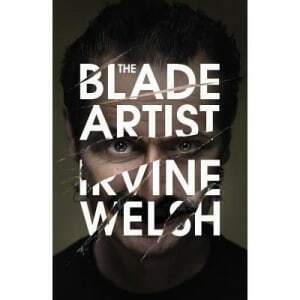 The Blade Artist dives headfirst into the psychopathic, supposedly reformed mind of Francis Begbie years after his release from his third prison stint. Franco, now called Jim Francis, lives in California as a famous sculptor and painter (a talent he discovered during rehab in prison) with his wife Melanie and two daughters. After hearing of the murder of his adult son back in Edinburgh, Scotland, Franco returns home to grieve. Or so he says. Once Franco arrives, his friends, family and enemies alike try to point him (more accurately, direct his suppressed rage) in the direction of his son’s killer. 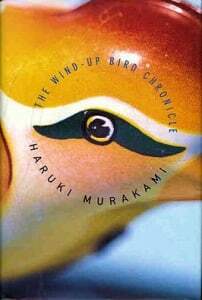 While Franco continues his anger management exercises and attempts to convince everyone he’s there simply to mourn his son, he goes about a Raymond Chandler-esque, hardboiled, twist-and-turn-filled quest to suss out the murderer. He also begins to discover that a person’s true nature, no matter how deep it’s buried, will be unleashed when the right circumstances present themselves. That also comes hand in hand with the understanding that Franco will do anything—absolutely anything—to protect his family despite his want to keep his violent urges in check. Dark, gritty, hyper-violent and often heartbreaking, The Blade Artist offers a new and extremely well-crafted side of every Trainspotting fan’s favorite psycho. What makes this novel truly stand apart from the rest of Welsh’s work is how well he covers the narrative, and all of Edinburgh, underneath a hardboiled detective blanket and gives readers something wholly new while they get reacquainted with an old and beloved cast of characters. 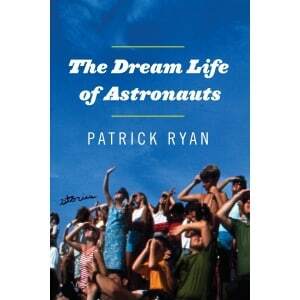 In a culture that feels stuck in a best of the ‘70s and ‘80s nostalgia loop, The Dream Life of Astronauts by Patrick Ryan offers the rarities and B-sides, odes to the weird and wonderful. It is a short story collection about the company town of Meritt Island, Florida, home to NASA and The Kennedy Space Center at Cape Canaveral. Because the exploration of space so represents the apex of human imagination you might assume that the humidity around the island is thick with rocket exhaust and possibility. Sadly, Ryan shows that’s not the case for the residents featured in the nine darkly funny and poignant stories of the collection. Set during the decades between the moon landing and the Challenger tragedy, Ryan creates a suburbia that is seemingly idyllic but more reliably dysfunctional. The population and their dilemmas range from alcoholism that quietly destroys a family in “The Way She Handles,” to a gay teen’s mortifying and hilarious tryst with a former astronaut and his wife in “The Dream Life of Astronauts,” to a NASA engineer in “Go Fever“ who is worried that the man he’s cuckolding is being poisoned by his wife. An aspirant, pregnant beauty queen, a former mobster, geeks, bullies and farmhands help round out the indigenes. Caution: Alexander Chee’s The Queen of the Night is so filled with literary calories that it will make your brain delightfully, deliciously fat. The book contains murder, intrigue, opera, fashion, fire and an array of other gothic and period accoutrements, all of which mix together indulgently. 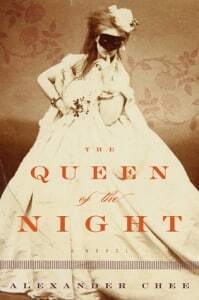 In these days of spare, cold, Brooklyn-set literary novels, The Queen of the Night stands out for its stunning costumes and settings, its appreciation for melodrama and its finely-constructed, wildly-imaginative plot. The Queen of the Night works so well because Chee maintains complete control in tandem with his commitment to excess. His heroine, Lilliet Berne, is the perfect lead for the spectacular plot as she herself is multitalented, multifaceted, vengeful, vain and completely magnetic. Chee takes us through time alongside Lilliet, from her present as a Parisian opera star and back to her impoverished American roots and climb up the ladder that saw her join the circus and work as a courtesan. If it sounds bonkers, it is. But, just as he did in his different (but also gorgeous) first novel, Edinburgh, Chee balances gothic plot devices and wild twists with clear, direct prose that is both immediately accessible and intellectually rewarding. 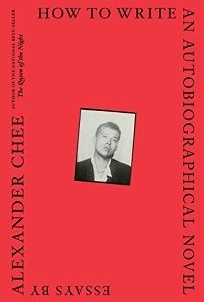 It rare to find a writer that can describe such a lavish plot and burning, toiling internal emotion with such precision and sure-footedness, and Chee is such a writer. There is such a thing as reading a book at the perfect time and in the perfect way. Olivia Laing’s The Lonely City is ostensibly about lonely, outsider artists, but it also doubles as an exploration of the nature of loneliness in a city of millions such as New York and triples as a memoir about Laing’s lonely days after moving to the city. Naturally, it is best read alone, ideally in avoidance of regular social interaction. I read it on my lunch breaks while sitting in my car. But Laing herself and the artists she profiles aren’t necessarily so bent on avoiding others as so unused to interaction as to be fearful of it, as well as even being ostracized by society. 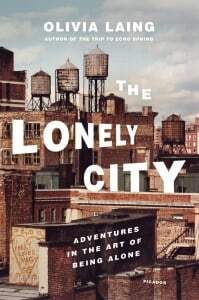 The Lonely City offers a wealth of information on artists like Edward Hopper, Henry Darger and David Wojnarowicz, but its best moments are when Laing delves into the genesis of self-isolation, what fuels loneliness. 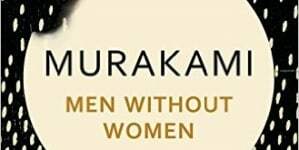 She writes, “If you are not being touched at all, then speech is the closest contact it is possible to have with another human being…The irony is that when you are engaged in larger and more satisfactory intimacy these quotidian exchanges go off smoothly, almost unnoticed, unperceived. It is only when there is a paucity of deeper and more personal connection that they develop a disproportionate importance, and with it a disproportionate risk.” Laing’s observations are painfully accurate, and her personal perspective gives all the more weight to her examinations of artists’ lives. “Beyond the pale” originated from the limits, the palisades that the Normans erected around their incursions encircling Dublin. Outside of that tamed territory, Hibernian natives lurked, uncivilized according to the conquerors’ suppositions. David Emmons, historian at the University of Montana, adapts this title cleverly. For in the American expansion, the immigrant Irish were also seen by Protestant counterparts as inferior, and relegated to the margins socially and spatially. In the growing U.S., contrary to stereotype, some “two-boat” Irish Catholics settled for neither shanty nor tenement. Industry demanded cheap, expendable frontier labor. The mines and mills erected, often by Protestant capitalists, attracted desperate Irish. Outnumbered, they formed communities and institutions to secure themselves in hostile territory. 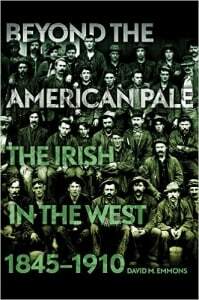 Having studied this phenomenon in the Irish-dominated enclave of Butte, Emmons in this follow-up expands his focus to eight different concepts of “the West” in the American imagination and fact. 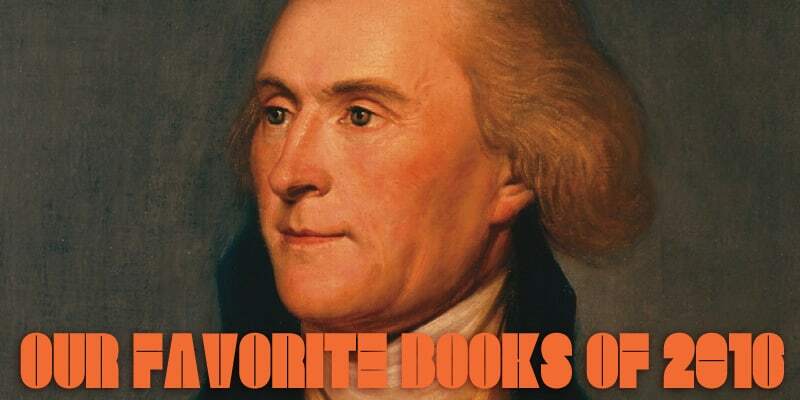 He compares or contrasts Irish Catholic experiences with those of black slaves and Native Americans, broadening this 2011 book’s relevance today. 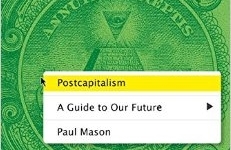 It rewards careful reading. It’s accessible, with folk stories and testimonies drawn from archival research. Its hundred-page list of documentation attests to Emmons’ scope and discipline. Attention to detail regarding his claims, therefore, is expected. 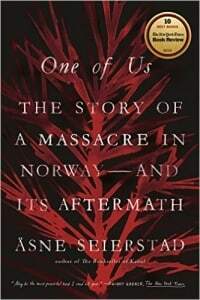 One of Us, Asne Seierstad’s searing account of one of the worst massacres of this young century, investigates the undercurrent of racism and anti-immigration sentiment that plagues Norway and other Scandinavian countries. 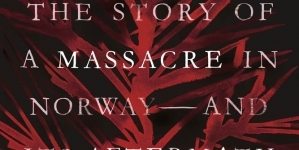 Filtered through the story of Anders Behring Breivik, the right-wing extremist who murdered 77 people in 2011, Seierstad investigates why such hatred exists in Norway and just how one man killed so many. Breivik’s horrific crimes shocked the world on July 22, 2011 when he detonated a van full of explosives outside the building which housed the prime minister’s office in Oslo, killing eight people in the blast. With all of Norway’s attention focused on the explosion, Breivik, dressed in a police uniform, made his way to the small island of Utoya, undetected by the authorities. There, in a rampage that lasted for hours before he surrendered, Breivik shot to death 69 more people, most of them teenagers taking part in a leftist political party retreat. Seierstad does not shy away from violence and in a grueling 72-page stretch graphically outlines Breivik’s rampage. In harrowing detail, she describes each murder, showing us the trajectory of the bullets as they cut short so many young lives. Even more difficult is the grief and sorrow she portrays of the parents of the murdered teenagers as they learn that their children will not return from Utoya. Archive of Modern Conflict publishes consistently outstanding photobooks, and a new reprint of this 2007 book brings back a title that influential photographer and collector Martin Parr named one of the best of the decade. The work may be particularly appropriate to the new political climate; or perhaps it just reveals something that never went away. Designed like an ordinary family photo album, down to a neutral beige binding that would not look out of place on anybody’s bookshelf, the book shows vintage candid photos of people at leisure: playing games, spending time with friends and even enjoying their pets. 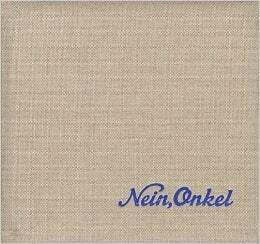 What makes the book unusual is that those depicted are Nazis. 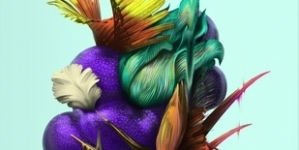 Another beautifully imaginative tale by Jeff VanderMeer.